Our vision is to become the premier provider of travel-related services and to become the most respected and admired company in the world by adhering to the principles of trust, respect, integrity and edification. To revolutionize travel through the power of relationships and technology along with an unprecedented income opportunity. By so doing, Paycation will become a "Legacy" company, helping families worldwide live the lives of their dreams. Mr. Manning has spent his life promoting and supporting the growth and well-being of people whose lives he has touched. He is an international motivational speaker and was a national sales trainer for two different companies. Most importantly, Mr. Manning has worked as a Compensation Plan Design Specialist and has saved the best compensation plan for Paycation Travel. In addition to his many business accomplishments, Mr. Manning was the host for the Easter Seals Telethon in Dallas for 17 years, has worked with many top celebrities to help promote their charitable causes and was a world-wide sports promoter setting two attendance records. Mark Campese has had a successful career in the direct sales / network marketing industry for more than 23 years. Prior to his involvement with the direct selling industry, Mark earned BS degrees in social work and ministerial studies and entered his post college life, working in these vocations. Mark realized early on that he had strong entrepreneurial tendencies and started his own traditional retail business. In 1989, Mark was introduced to the direct selling / network marketing industry. He immediately became a student of this unique and lucrative business model. As a representative, Mark rose quickly to the top levels of many companies building substantially large teams, which resulted in international recognition and significant income. Since that time, Mark has excelled in many facets of the direct selling industry. Mark has functioned as a national sales trainer for several direct sales companies. He has trained tens of thousands of distributors in the concepts and methods of success. As a consultant to the direct sales industry, Mark has offered his years of successful experience in the field and in the executive offices, to assist other companies in becoming established and advancing their businesses models. Mark has served as the president and owner/founder of many direct sales companies which now provides him with the necessary administrative and executive experience to help lead and further the mission at Paycation. Mark has established an excellent reputation throughout the industry, founded on Integrity based leadership, cultivating lasting relationships, and adhering to an ethical code of conduct. His principle focus is to educate, motivate and empower people to succeed in their lives, career and business and to reach their full potential and ultimately realize the greatness of their dreams. Lori's career in travel began in 1982 when she trained at SouthEastern Travel Institute in Florida. She soon married and moved to Texas to raise a family. One of her first positions was with Campbell Travel which is still a leader in corporate and luxury leisure travel. After years of experience in both large Corporate travel departments (EDS) and smaller boutique agencies (Eagle Travel), she joined David Manning in launching XStream Travel in 2005 as Director of Travel. An expert in all aspects of the travel industry, Lori has been instrumental in developing the company's Travel division, which has become a top producer for all established cruise lines. Every year since 2007, the agency has been counted among Travelsavers "Top 40 Travel Agencies" . As Director of Travel, she is an integral part of the overall management of the company and its daily operations. Lori's responsibilities include vendor relations, member support, website design, travel club fulfillment and training as well as management of her elite team of in-house agents. Lori is also a group expert who can negotiate the best deals for XStream member trips, conventions and cruises. Her passion after 31 years as a travel advisor is to train the next generation. You will feel her commitment and unique insight on weekly training calls and her extraordinary live training events. In addition, Lori is constantly growing the Xstream Travel brand through unique marketing initiatives, alliances and programs, as well as developing new Branch and Affiliate locations and bringing on new Associate Agents. Lori represents Xstream Travel to several top vendors including Funjet Vacations, Classic Vacations, Royal Caribbean, and Travel Savers. Honored many times by the travel industry, Lori was named a Top Family Travel Specialist by SATA in 2005. Shawn has grown up around network marketing. Traveling to all the leadership trainings with his dad, helped Shawn create leadership skills at a young age. Growing up around the network industry, Shawn has worked in every department in the corporate office. Shawn not only runs the operations at the home office but is always available to help any consultant with their questions or business. Shawn's goal is to help Paycation become a worldwide opportunity helping people change their lives for the better while taking great vacations. Donald D. Bradley has over 20 years in marketing, sales and product distribution experience. 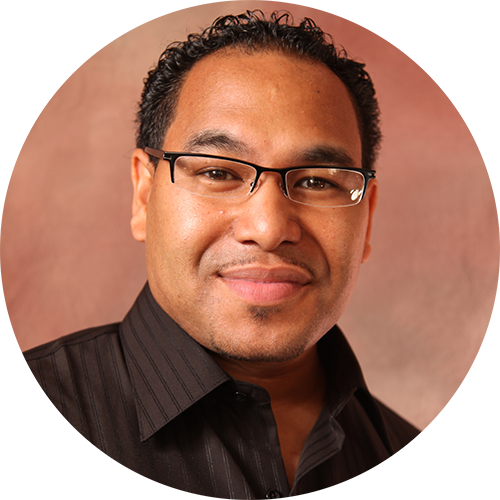 In 2005, Bradley joined the Network Marketing industry and has been full time since day one. Building a team of thousands, he has achieved top ranking positions while helping others reach their financial goals. Upon obtaining his B.A. degree in Humanities and Social Sciences from the University of South Carolina in 1994, he served for United States Air Force and Air National Guard (Operation Desert Storm). He has been featured twice nationally in Success from Home Magazine, The Walk To Wealth "7 Guiding Principles to Prosperity" and co-published The 3 CEOs Formula. Spencer started his first business at the age of 12, sweating during the hot summer building his lawn service. During high school, Spencer was selected as a Coca-Cola Scholar. Only 50 students in America are chosen from more than 100,000 for this prestigious full-scholarship award. At Georgia Tech, Spencer earned a patent and by the age of 28 had become the CEO of a publicly traded company. Spencer attended law school at Mercer University and while there was elected to the prestigious Order of Barristers. After law school, Spencer represented professional athletes in the NFL, MLB, golf and basketball as an agent for more than 10 years. Along with negotiating multi-million dollar contracts on behalf of his clients, Spencer also secured marketing and endorsement deals with companies like Nike, Reebok, Titleist, Ping, The Ritz Carlton, and Bass Pro Shops to name a few. Introduced to the industry of network marketing, Spencer was a quick study and applied the lessons learned from those he acquired as an entrepreneur. His professional approach helped him to co-found The 3 CEOs organization. An organization built on the principles of professionalism, integrity and long-term strategic team building, The 3 CEOs' team routinely mentored and produced top income earners in direct sales. Spencer has built organizations numbering in the tens of thousands in several countries and helped train and inspire hundreds of thousands to live the life of their dreams. Spencer has earned millions of dollars from traditional businesses and in the industry of network marketing and is an expert at marketing, branding and equipping professionals for maximum achievement. He has been featured in, to name a few, Essence, Black Enterprise, The Atlanta Business Chronicle and twice featured in Success from Home magazine. Spencer has written articles for numerous national publications and has appeared on countless radio shows and television programs. Welcome to the Paycation Opportunity! Paycation enables you to run a successful business right from the comfort of your home with the most exciting product worldwide. Whether you are a stay at home mom, a retiree, doctor, student, or one of the millions of full time, hardworking, yet underpaid and under-appreciated employees, Paycation gives you the opportunity to become financially independent by working your own home based business with all the tools, training and support you need to become successful. Travel is an 8 trillion dollar industry and with Paycation you can simply join our Paycation Travel Club (PTC) to enjoy the best prices on all types of vacations and custom trips or by just becoming a Paycation Independent Associate (IA), referring the PTC program to your friends, family and co-workers, you can turn Paycation into serious savings and a great income opportunity. At Paycation, you also have the option to become a Referral Travel Consultant (RTC) and earn on all the travel you take or refer to your personal travel site or the corporate office. Many people are looking for a career change. Thanks to Xstream Travel, that option is available through Paycation. You can go through the Xstream Certified Travel Consultant (CTC) Program and become a Certified Travel Consultant (CTC) and earn some of the highest travel commissions in the industry plus enjoy all the travel perks and Tax advantages available only to Travel agents or consultants. Paycation has created the strongest compensation plan in history to give everyone the opportunity for financial success. (See the compensation plan for more information). Certified Travel Consultant (CTC) Once an RTC takes the Certified Travel Training and passes the certification test they will be upgrade to a Certified Travel Consultant for Xstream Travel. Join as a Referral Travel Consultant (RTC) $99.95 and $59.95 monthly. As a Travel Consultant you are eligible for Tax Benefits. This package includes the Paycation Travel Club and comes with your personal online travel website plus travel booking portal and back office to track your organizational growth and commissions. Referral Travel Consultants also earn 65% of the Travel Commissions on all travel they refer to their travel portal and 20% on travel referred to the corporate travel department. As a Referral Travel Consultant you can participate in the commission program and qualify for coded bonuses and leadership bonuses. *The RTC monthly subscription fee is $59.95. $40.00 Annual renewal fee. Join as an Independent Associate, Travel Club Member, for $40.00 and a $29.95 monthly fee. Includes Travel Club Membership (IA's earn on personal sales and are eligible to qualify for the Paycation Residual Commission Program). This package comes with your own Travel Club website and back office to track your organizational growth and commissions. IA's if qualified earn in the Paycation Commission program and on personal sales to customers. This allows you to earn personal sales on each Travel Club sold to a customer and the sale of a Referral Travel Consultant Package. **RTC's and higher pay an annual $40.00 consultant fee.